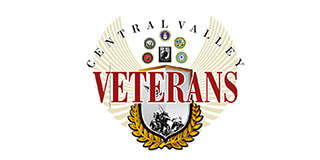 ​Central Valley Veterans is an active participant in the State of California Employment Development Department’s Fresno County Veterans Employment Committee (VEC) including acting as the fiscal agent. Membership on the VEC is a commitment to addressing veterans’ employment and training opportunities and concerns. Monthly VEC meetings provide an opportunity to share and receive updated information on issues that affect employment of veterans. CVV acts as the fiscal agent for the VEC, which allows donations to VEC events to be deductible. Our Veteran Outreach efforts involve acting as “first responders” to the emergency needs of Veterans, Active service members and their families. We respond to emergency housing needs, furniture and appliance needs, needs for food, clothing and toiletries and emergency/overdue utility bill payment needs. We have also purchased college books, repaired vehicles and provided funds for attending family funeral services. We provide unconditional support to our heroes in need, filling the gaps to which other veterans organizations are unable to support due to program restrictions. 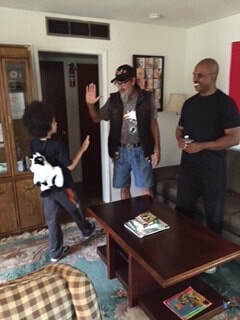 Our experience and relationships with the Veteran Community allow us to, after emergency concerns are resolved, direct Veterans and their families to services for long term solutions to their needs. Currently we are renting 3500 square feet of storage for furniture, beds, small and large appliances, clothing and personal hygiene items at a cost of $700/month. We have spent significant funds in obtaining donated and delivering items to Veterans and Active service members in need. In late 2012 we are able to purchase a trailer for picking up and delivering donations, allowing us to respond to needs in a more immediate fashion. ​We prioritize our efforts to provide for single mothers first, followed by single fathers, single women, couples and single men. Keeping families together and women and children off the streets is foremost in all efforts. Gaining permanent housing and keeping Veterans working are areas of focus. We have an application process that thoroughly reviews the requester’s finances, expenses, extenuating circumstances and whether our short term support will result in long term solutions. Most requests come with a letter of support from a VA Social Worker or a Veterans Advocate. Our accomplishments have increased exponentially over the past three years, due to the unconditional support we have received from the community, corporations and foundations. We have an annual operating budget that provides over $86,000 in direct financial support to over 200 Veterans, Active Service Members and their families. ​January 2017 CVV introduces a new program within our non-profit. “To The Mat” (TTM) was created in loving memory of 39 year old Mathew C., U.S. Army veteran, son and father of 2. ​He was the guy everyone wanted on their team. After being “Honorably” Discharged for medical reasons, Mat soon realized his dream job of being a police officer was not to be. That is when he decided to become a school counselor. He joined into a study group at University of Phoenix-Fresno (UOP-F) mid-term. He was TYPE A to the hilt. He quickly demonstrated that he was a hard worker and very smart. It was something his fellow classmates often joked about, that he was competitive and a bit of a know-it-all. The study group of 5 women and 1 Army veteran became close. As the year went on Mat was giving the groups assignment schedules and made sure everyone was on the ball. A few days before their second to last class, the team realized they hadn’t heard from Mat in a few days. This was not like him at all. They began calling the team and other contacts to find out about Mat. They were given the worst news possible… Mat had died. While talking at Mat’s funeral, the team discussed doing something to honor Mat. He loved children, he was the dad of 2 great kids, soccer coach, he worked at an elementary school, he was a karate instructor. Easy right? It should be something for kids and to honor his military service, it had to include veterans kids! As this developed, it turned into “To The Mat” a scholarship program for veteran children. In Karate you step to the mat with authority and respect and when you are there you learn leadership and build character and friendships. ‘To the Mat’ – U.S. Military Children’s Scholarship Program is open to Active duty, Guard, Reserve and Veteran children. More information on the scholarship program and applications will be added soon. ‘To The Mat’ Scholarship Mission: To keep Mat’s passions of empowerment to grow leaders alive by providing scholarships and opportunities for children of U.S. Military members to participate in extracurricular activities. Extracurricular activities build character, friendships, respect, teamwork and self-esteem and studies show that children who participate in extracurricular activities are more engaged in school. The Purpose: To grow strong leaders and bring awareness of the military child who involuntarily gives a part of their life as well when their parent is in the military. ​Did you know? We have supported and act as the fiscal agent for the Family and Children Support personnel at our local California National Guard bases. We plan to continue this work as opportunities arise. ​In the past, there was no Hospitality House for providing temporary housing to families of the Fresno VA Hospital patients. Central Valley Veterans had long dreamed of purchasing a single or multi-family housing unit that would provide respite housing for families. This residence would also provide temporary emergency housing for families on the streets. We have also set up a food pantry at the house. Our dream of a “Hospitality House” is now a reality with the purchase of a single family home located walking distance to the Fresno VA Hospital.